Multilabel classification is an emergent data mining task with a broad range of real world applications. Learning from imbalanced multilabel data is being deeply studied latterly, and several resampling methods have been proposed in the literature. The unequal label distribution in most multilabel datasets, with disparate imbalance levels, could be a handicap while learning new classifiers. In addition, this characteristic challenges many of the existent preprocessing algorithms. Furthermore, the concurrence between imbalanced labels can make harder the learning from certain labels. These are what we call difficult labels. In this work, the problem of difficult labels is deeply analyzed, its influence in multilabel classifiers is studied, and a novel way to solve this problem is proposed. Specific metrics to assess this trait in multilabel datasets, called SCUMBLE (Score of ConcUrrence among iMBalanced LabEls) and SCUMBLELbl, are presented along with REMEDIAL (REsampling MultilabEl datasets by Decoupling highly ImbAlanced Labels), a new algorithm aimed to relax label concurrence. How to deal with this problem using the R mldr package is also outlined. The learning from imbalanced data is a deeply studied problem in standard classification and, in recent times, also in multilabel classification. A handful of multilabel resampling methods have been proposed in late years, aiming to balance the labels distribution. However, these methods have to face a new obstacle, specific for multilabel data, as is the joint appearance of minority and majority labels in the same data patterns. We presented recently a new algorithm designed to decouple imbalanced labels concurring in the same instance, called REMEDIAL (REsampling MultilabEl datasets by Decoupling highly ImbAlanced Labels). The goal of this work is to propose REMEDIAL-HwR (REMEDIAL Hybridization with Resampling), a procedure to hybridize this method with some of the best resampling algorithms available in the literature, including random oversampling, heuristic undersampling and synthetic sample generation techniques. These hybrid methods are then empirically analyzed, determining how their behavior is influenced by the label decoupling process. The analysis of results shows that the proposed method improves certain classifiers performance when it is applied over imbalanced datasets with label concurrence. In addition, a noteworthy set of guidelines on the combined use of these techniques can be drawn from the conducted experimentation. Autoencoders are neural networks which perform feature learning on data. Many variants can be found in the literature, but their implementations are scarce, in separate software pieces and utilizing different languages and frameworks. The ruta package implements a unified foundation for the construction and training of autoencoders on top of Keras and Tensorflow, and allows for easy access to the main functionalities as well as full customization of their diverse aspects. New proposals in the field of multi-label learning algorithms have been growing in number steadily over the last few years. The experimentation associated with each of them always goes through the same phases: selection of datasets, partitioning, training, analysis of results and, finally, comparison with existing methods. This last step is often hampered since it involves using exactly the same datasets, partitioned in the same way and using the same validation strategy. In this paper we present a set of tools whose objective is to facilitate the management of multi-label datasets, aiming to standardize the experimentation procedure. The two main tools are an R package, mldr.datasets, and a web repository with datasets, Cometa. Together, these tools will simplify the collection of datasets, their partitioning, documentation and export to multiple formats, among other functions. Some tips, recommendations and guidelines for a good experimental analysis of multi-label methods are also presented. Many of the existing machine learning algorithms, both supervised and unsupervised, depend on the quality of the input characteristics to generate a good model. The amount of these variables is also important, since performance tends to decline as the input dimensionality increases, hence the interest in using feature fusion techniques, able to produce feature sets that are more compact and higher level. A plethora of procedures to fuse original variables for producing new ones has been developed in the past decades. The most basic ones use linear combinations of the original variables, such as PCA (Principal Component Analysis) and LDA (Linear Discriminant Analysis), while others find manifold embeddings of lower dimensionality based on non-linear combinations, such as Isomap or LLE (Linear Locally Embedding) techniques. The production of biofuels is a process that requires the adjustment of multiple parameters. Performing experiments in which these parameters are changed and the outputs are analyzed is imperative, but the cost of these tests limits their number. For this reason, it is important to design models that can predict the different outputs with changing inputs, reducing the number of actual experiments to be completed. Response Surface Methodology (RSM) is one of the most common methods for this task, but machine learning algorithms represent an interesting alternative. 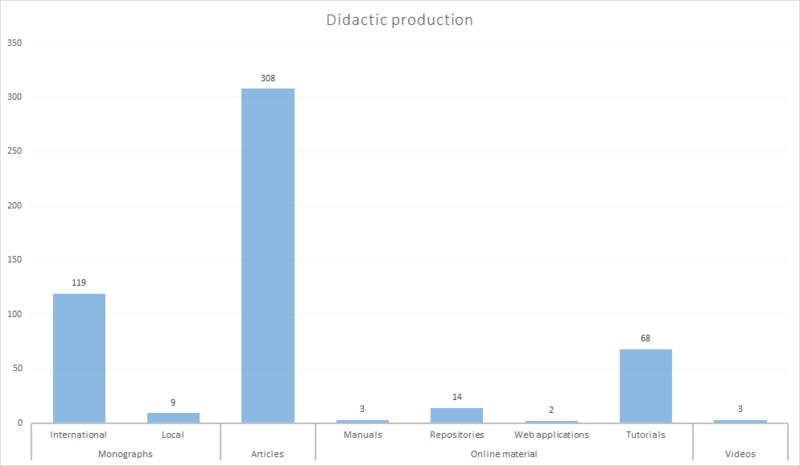 In the present study the predictive performance of multiple models built from the same problem data are compared: the production of bioethanol from lignocellulosic materials. Four machine learning algorithms, including two neural networks, a support vector machine and a fuzzy system, together with the RSM method, are analyzed. Results show that Reg-CO2RBFN, the method designed by the authors, improves the results of all other alternatives. The average photon energy (APE) has become a popular index to qualitatively assess whether shorter or longer wavelengths are enhanced in a specific spectral distribution of irradiance when compared to the AM1.5G standard spectrum. According to some previous assessments, this index might uniquely distinguish individual global tilted irradiance and global horizontal irradiance spectra. This paper basically applies the same methodology as that used in these studies, i.e., a statistical analysis based on spectral distributions grouped in 0.02-eV APE bins and their standard deviation across all 50-nm bands into which the wavelength range under scrutiny (350 to 1050 nm) is divided. Two years of spectral global tilted irradiance datasets collected at two Spanish locations, 333 km apart, are analyzed here. The purpose of this paper is to analyze the imbalanced learning task in the multilabel scenario, aiming to accomplish two different goals. The first one is to present specialized measures directed to assess the imbalance level in multilabel datasets (MLDs). Using these measures we will be able to conclude which MLDs are imbalanced, and therefore would need an appropriate treatment. The second objective is to propose several algorithms designed to reduce the imbalance in MLDs in a classifier-independent way, by means of resampling techniques. Two different approaches to divide the instances in minority and majority groups are studied. One of them considers each label combination as class identifier, whereas the other one performs an individual evaluation of each label imbalance level. A random undersampling and a random oversampling algorithm are proposed for each approach, giving as result four different algorithms. All of them are experimentally tested and their effectiveness is statistically evaluated. From the results obtained, a set of guidelines directed to show when these methods should be applied is also provided. Learning from imbalanced data is a problem which arises in many real-world scenarios, so does the need to build classifiers able to predict more than one class label simultaneously (multilabel classification). Dealing with imbalance by means of resampling methods is an approach that has been deeply studied lately, primarily in the context of traditional (non-multilabel) classification. In this paper the process of synthetic instance generation for multilabel datasets (MLDs) is studied and MLSMOTE (Multilabel Synthetic Minority Over-sampling Technique), a new algorithm aimed to produce synthetic instances for imbalanced MLDs, is proposed. An extensive review on how imbalance in the multilabel context has been tackled in the past is provided, along with a thorough experimental study aimed to verify the benefits of the proposed algorithm. Several multilabel classification algorithms and other multilabel oversampling methods are considered, as well as ensemble-based algorithms for imbalanced multilabel classification. The empirical analysis shows that MLSMOTE is able to improve the classification results produced by existent proposals. Multilabel classification (MLC) has generated considerable research interest in recent years, as a technique that can be applied to many real-world scenarios. To process them with binary or multiclass classifiers, methods for transforming multilabel data sets (MLDs) have been proposed, as well as adapted algorithms able to work with this type of data sets. However, until now, few studies have addressed the problem of how to deal with MLDs having a large number of labels. This characteristic can be defined as high dimensionality in the label space (output attributes), in contrast to the traditional high dimensionality problem, which is usually focused on the feature space (by means of feature selection) or sample space (by means of instance selection). The purpose of this paper is to analyze dimensionality in the label space in MLDs, and to present a transformation methodology based on the use of association rules to discover label dependencies. These dependencies are used to reduce the label space, to ease the work of any MLC algorithm, and to infer the deleted labels in a final postprocessing stage. The proposed process is validated in an extensive experimentation with several MLDs and classification algorithms, resulting in a statistically significant improvement of performance in some cases, as will be shown. Subgroup discovery is a data mining task halfway between descriptive and predictive data mining. Nowadays it is very relevant for researchers due to the fact that the knowledge extracted is simple and interesting. For this task, evolutionary fuzzy systems are well suited algorithms because they can find a good trade-off between multiple objectives in large search spaces. In fact, this paper presents the SDEFSR package, which contains all the evolutionary fuzzy systems for subgroup discovery presented throughout the literature. It is a package without dependencies on other software, providing functions with recommended default parameters. In addition, it brings a graphical user interface to avoid the user having to know all the parameters of the algorithms. Most classification algorithms deal with datasets which have a set of input features, the variables to be used as predictors, and only one output class, the variable to be predicted. However, in late years many scenarios in which the classifier has to work with several outputs have come to life. Automatic labeling of text documents, image annotation or protein classification are among them. Multilabel datasets are the product of these new needs, and they have many specific traits. The mldr package allows the user to load datasets of this kind, obtain their characteristics, produce specialized plots, and manipulate them. The goal is to provide the exploratory tools needed to analyze multilabel datasets, as well as the transformation and manipulation functions that will make possible to apply binary and multiclass classification models to this data or the development of new multilabel classifiers. Thanks to its integrated user interface, the exploratory functions will be available even to non-specialized R users. The design and manufacture of hardware is expensive, both in time and in economic investment, which is why integrated circuits are always manufactured in large volume, to take advantage of economies of scale. For this reason, the majority of processors manufactured are general purpose, thus expanding its range of applications. In recent years, however, more and more processors are being manufactured for specific applications, including those aimed at accelerating work with deep neural networks. This article introduces the need for this type of specialized hardware, describing its purpose, operation and current implementations. Computer Engineering students in Spanish universities have to take one or more courses devoted to theur learning of computer architecture. The theoretical part of these subjects are usually focused on describing the architecture itself, while practical sessions are used to introduce assembly programming by means of a certain instruction set which runs into a software emulator. This paper proposes to supplement practical sessions, so that students learn to design a microprocessor by themselves from its basic components, by introducing the use of FPGA devices. This paper presents the subject Design and Deployment of Servers belonging to the Information Technologies of the Computer Science Engineering at the University of Jaén. The objective of this subject is to provide the training established in the different competences related to the development and deployment of hardware infrastructures that supports the currently information systems. These information systems have characteristics such as ubiquitous access, high computational costs or high availability, among others. Thus, the subject addresses concepts from design of systems, monitoring, benchmarking or evaluation, to high availability, scalability or load balancing. By the end of the 2010s computers have become ubiquitous. Users are not even aware that they carry them: in their cellphones, smart watches, and other similar devices. This evolution has been made possible as a result of the revolution that took place in the 1970s and the 1980s. It was then, with the emergence of microprocessors and microcomputers, that computing began to arrive at people's houses. This book recovers the history of those devices. This book offers a comprehensive review of multilabel techniques widely used to classify and label texts, pictures, videos and music in the Internet. A deep review of the specialized literature on the field includes the available software needed to work with this kind of data. It provides the user with the software tools needed to deal with multilabel data, as well as step by step instruction on how to use them. The main topics covered are: -	The special characteristics of multi-labeled data and the metrics available to measure them. -	The importance of taking advantage of label correlations to improve the results. -	The different approaches followed to face multi-label classification. -	The preprocessing techniques applicable to multi-label datasets. -	The available software tools to work with multi-label data. This book is beneficial for professionals and researchers in a variety of fields because of the wide range of potential applications for multilabel classification. Besides its multiple applications to classify different types of online information, it is also useful in many other areas, such as genomics and biology. No previous knowledge about the subject is required. The book introduces all the needed concepts to understand multilabel data characterization, treatment and evaluation. The problem of high dimensionality is a challenge when facing machine learning tasks. A high dimensional space has a negative effect on the predictive performance of many methods, specifically, classification algorithms. There are different proposals that arise to mitigate the effects of this phenomenon. In this sense, models based on deep learning have emerged. Tourism is one of the biggest economic activities around the world. This means that an adequate planning of existing resources becomes crucial. Precise demand-related forecasting greatly improves this planning. Deep Learning models are showing an greatly improvement on time-series forecasting, particularly the LSTM, which is designed for this kind of tasks. This article introduces the touristic time-series forecasting using LSTM, and compares its accuracy against well known models RandomForest and ARIMA. Our results shows that new LSTM models achieve the best accuracy. This paper proposes a multilabel fuzzy decision tree classifier named FuzzDTML. The algorithm uses generalized fuzzy entropy, aggregated over all labels, to choose the best attribute for growing the tree. The proposed algorithm also can generate leaves predicting partial label sets, which can incorporate to some degree the dependence among labels, as well as produce more interpretable models. An empirical analysis shows that, although the algorithm does not yet incorporate pruning nor fuzzy interval adjustment phases, it is competitive with other tree based approaches for multilabel classification, with better performance in data sets having numerical features that can be fuzzified. In recent years, new proposals have emerged for tackling the classification problem based on Deep Learning (DL) techniques. These proposals have shown good results in certain fields, such as image recognition. However, there are factors that must be analyzed to determine how they influence the results obtained by these new algorithms. In this paper, the classification of imbalanced data with convolutional neural networks (CNNs) is analyzed. To do this, a series of tests will be performed in which the classification of real images of traffic signals by CNNs will be performed based on data with different imbalance levels. Research in renewable energies is a global trend. One remarkable area is the biomass transformation into biotehanol, a fuel that can replace fossil fuels. A key step in this process is the pretreatment stage, where several variables are involved. The experimentation for determining the optimal values of these variables is expensive, therefore it is necessary to model this process. This paper focus on modeling the production of biotehanol from olive tree biomass by data mining methods. Notably, the authors present Reg-CO2RBFN, an adaptation of a cooperative-competitive designing method for radial basis function networks. One of the main drawbacks in this modeling is the low number of instances in the data sets. To compare the results obtained by Reg-CO2RBFN, other well-known data mining regression methods are used to model the transformation process. A large amount of the data processed nowadays is multilabel in nature. This means that every pattern usually belongs to several categories at once. Multilabel data are abundant, and most multilabel datasets are quite large. This causes that many multilabel classification methods struggle with their processing. Tackling this task by means of big data methods seems a logical choice. However, this approach has been scarcely explored by now. The present work introduces several big data multilabel classifiers, all of them based on decision trees. After detailing how they have been designed, their predictive performance, as well as the execution time, are analyzed. In a time series context the nearest neighbour algorithm looks for the historical observations most similar to the latest observations of the time series. However, some nearest neighbours can be misleading. In this paper we propose that, if prior information about the structure of the time series is known, the search space of possible neighbours can be narrowed so that some possibly misleading neighbours are avoided. This way a more effective forecasting method can be obtained. Multilabeled data is everywhere on the Internet. From news on digital media and entries published in blogs, to videos hosted in Youtube, every object is usually tagged with a set of labels. This way they can be categorized into several non-exclusive groups. However, publicly available multilabel datasets (MLDs) are not so common. There is a handful of websites providing a few of them, using disparate file formats. 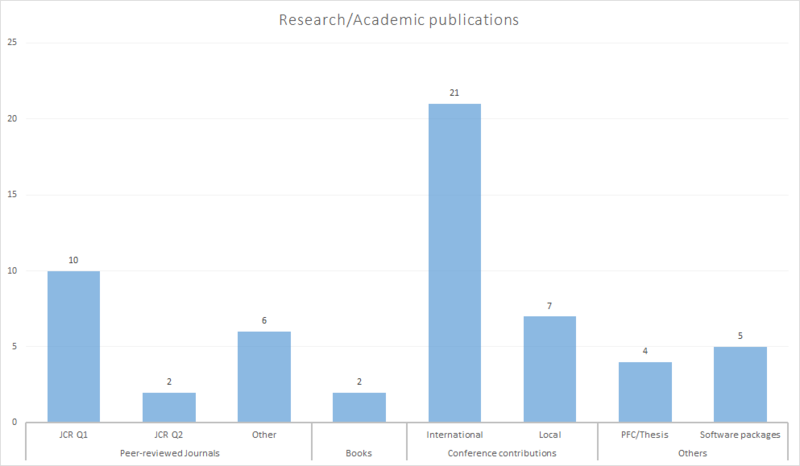 Finding proper MLDs, converting them into the correct format and locating the appropriate bibliographic data to cite them are some of the difficulties usually confronted by researchers and practitioners. In this paper RUMDR (R Ultimate Multilabel Dataset Repository), a new multilabel dataset repository aimed to fuse all public MLDs, is introduced, along with mldr.datasets, an R package which eases the process of retrieving MLDs and their bibliographic information, exporting them to the desired file formats and partitioning them. Multilabel classification (MLC) is an increasingly widespread data mining technique. Its goal is to categorize patterns in several non-exclusive groups, and it is applied in fields such as news categorization, image labeling and music classification. Comparatively speaking, MLC is a more complex task than multiclass and binary classification, since the classifier must learn the presence of various outputs at once from the same set of predictive variables. The own nature of the data the classifier has to deal with implies a certain complexity degree. How to measure this complexness level strictly from the data characteristics would be an interesting objective. At the same time, the strategy used to partition the data also influences the sample patterns the algorithm has at its disposal to train the classifier. In MLC random sampling is commonly used to accomplish this task. This paper introduces TCS (Theoretical Complexity Score), a new characterization metric aimed to assess the intrinsic complexity of a multilabel dataset, as well as a novel stratified sampling method specifically designed to fit the traits of multilabeled data. A detailed description of both proposals is provided, along with empirical results of their suitability for their respective duties. Simple exponentional smoothing is a well-known technique for forecasting univariate time series without trend and seasonality. Forecast combinations such as medians or means are known to improve the accuracy of point forecasts. In this paper we have experimented with combining the forecasts of several simple exponential smoothing models with different smoothing factors. Experimental results, using the M3-competition time series, show that the combined forecasts outperform the forecasts of the model that best fits the series. Multilabel classification is a task that has been broadly studied in late years. However, how to face learning from imbalanced multilabel datasets (MLDs) has only been addressed latterly. In this regard, a few proposals can be found in the literature, most of them based on resampling techniques adapted from the traditional classification field. The success of these methods varies extraordinarily depending on the traits of the chosen MLDs. One of the characteristics which significantly influences the behavior of multilabel resampling algorithms is the joint appearance of minority and majority labels in the same instances. It was demonstrated that MLDs with a high level of concurrence among imbalanced labels could hardly benefit from resampling methods. This paper proposes an original resampling algorithm, called REMEDIAL, which is not based on removing majority instances nor creating minority ones, but on a procedure to decouple highly imbalanced labels. As will be experimentally demonstrated, this is an interesting approach for certain MLDs. The Web is broadly used nowadays to obtain information about almost any topic, from scientific procedures to cooking recipes. Electronic forums are very popular, with thousands of questions asked and answered every day. Correctly tagging the questions posted by users usually produces quicker and better answers by other users and experts. In this paper a prototype of a system aimed to assist the users while tagging their questions is proposed. To accomplish this task, firstly the text of each post is processed to produce a multilabel dataset, then a lazy nearest neighbor multilabel classification algorithm is used to predict the tags on new posts. The obtained results are promising, opening the door to the developing of a full automated system for this task. Time series prediction is one of the key tasks in data mining, especially in areas such as science, engineering and business. It is possible to distinguish between fundamental analysis and technical analysis while dealing with time series in the business area. Fundamental analysis takes into account different exogenous variables such as expenses, assets or liabilities. Technical analysis summarizes information using technical indicators such as momentums, moving averages or oscillators. The most influential exogenous variables and technical indicators for the olive oil price have been already identified in previous studies. The objective of the present paper is to propose an ensemble strategy, based on dividing this set of exogenous variables and technical indicators into subsets of features for the base models. These base models use CO2RBFN, a cooperative competitive algorithm for RBFNs, as learning algorithm. The obtained results show that the ensemble strategy outperforms both the base models and other classical soft computing methods. The interest in dealing with imbalanced datasets has grown in the last years, since they represent many real world scenarios. Different methods that address imbalance problems can be classified into three categories: data sampling, algorithmic modification and cost-sensitive learning. The fundamentals of the last methodology is to assign higher costs to wrong classification classes with the aim of reducing higher cost errors. In this paper, CO2RBFN-CS, a cooperative-competitive Radial Basis Function Network algorithm that implements cost-sensitivity is presented. Specifically, a cost parameter is introduced in the training stage of the algorithm. This parameter modifies the learning rate of the weights taking into account the right (or wrong) classification of the instance, the type of class (majority or minority) and the imbalance ratio of the data set. In the context of multilabel classification, the learning from imbalanced data is getting considerable attention recently. Several algorithms to face this problem have been proposed in the late five years, as well as various measures to assess the imbalance level. Some of the proposed methods are based on resampling techniques, a very well-known approach whose utility in traditional classification has been proven. This paper aims to describe how a specific characteristic of multilabel datasets (MLDs), the level of concurrence among imbalanced labels, could have a great impact in resampling algorithms behavior. Towards this goal, a measure named SCUMBLE, designed to evaluate this concurrence level, is proposed and its usefulness is experimentally tested. As a result, a straightforward guideline on the effectiveness of multilabel resampling algorithms depending on MLDs characteristics can be inferred. Learning from imbalanced multilabel data is a challenging task that has attracted considerable attention lately. Some resampling algorithms used in traditional classification, such as random undersampling and random oversampling, have been already adapted in order to work with multilabel datasets. In this paper MLeNN (MultiLabel edited Nearest Neighbor), a heuristic multilabel undersampling algorithm based on the well-known Wilson's Edited Nearest Neighbor Rule, is proposed. The samples to be removed are heuristically selected, instead of randomly picked. The ability of MLeNN to improve classification results is experimentally tested, and its performance against multilabel random undersampling is analyzed. As will be shown, MLeNN is a competitive multilabel undersampling alternative, able to enhance significantly classification results. In the Machine Learning field when the multi-class classification problem is addressed, one possibility is to transform the data set in binary data sets using techniques such as One-Versus-All. One classifier must be trained for each binary data set and their outputs combined in order to obtain the final predicted class. The determination of the strategy used to combine the output of the binary classifiers is an interesting research area. In this paper different OVA strategies are developed and tested using as base classifier a cooperative-competitive RBFN design algorithm, CO2RBFN. One advantage of the obtained models is that they obtain as output for a given class a continuous value proportional to its level of confidence. Concretely three OVA strategies have been tested: the classical one, one based on the difference among outputs and another one based in a voting scheme, that has obtained the best results. The process of learning from imbalanced datasets has been deeply studied for binary and multi-class classification. This problem also affects to multi-label datasets. Actually, the imbalance level in multi-label datasets uses to be much larger than in binary or multi-class datasets. Notwithstanding, the proposals on how to measure and deal with imbalanced datasets in multi-label classification are scarce. In this paper, we introduce two measures aimed to obtain information about the imbalance level in multi-label datasets. Furthermore, two preprocessing methods designed to reduce the imbalance level in multi-label datasets are proposed, and their effectiveness is validated experimentally. Finally, an analysis for determining when these methods have to be applied depending on the dataset characteristics is provided. Multi-label classification is a generalization of well known problems, such as binary or multi-class classification, in a way that each processed instance is associated not with a class (label) but with a subset of these. In recent years different techniques have appeared which, through the transformation of the data or the adaptation of classic algorithms, aim to provide a solution to this relatively recent type of classification problem. This paper presents a new transformation technique for multi-label classification based on the use of association rules aimed at the reduction of the label space to deal with this problem. While in traditional classification an instance of the data set is only associated with one class, in multi-label classification this instance can be associated with more than one class or label. Examples of applications in this growing area are text categorization, functional genomics and association of semantic information to audio or video content. One way to address these applications is the Problem Transformation methodology that transforms the multi-label problem into one single-label classification problem, in order to apply traditional classification methods. The aim of this contribution is to test the performance of CO2RBFN, a cooperative-competitive evolutionary model for the design of RBFNs, in a multi-label environment, using the problem transformation methodology. The results obtained by CO2RBFN, and by other classical data mining methods, show that no algorithm outperforms the other on all the data. La historia de la informática o computación es una parte de la historia humana y, al tiempo, una fuente de información indispensable sobre la evolución del hardware y el software en las últimas décadas. También resulta indispensable para entender el estado actual de las tecnologías de la información en múltiples aspectos: el desarrollo de microprocesadores y la forma en que fueron surgiendo los sistemas digitales, el nacimiento de la microinformática personal (que representó el acceso cuasi-universal a los ordenadores), el diseño de software a través de los lenguajes que fueron surgiendo, cómo estos han ido adaptándose en cada momento y los actores más relevantes que han influido de manera decisiva en este campo. Con el fin de difundir la historia de los precursores de los PCs (los microcomputadores de los años 70 y 80) se ha creado una wiki temática a la que se ha denominado ReturnOK: el museo digital del PC (http://museopc.ujaen.es). Este sitio web es el resultado de un proyecto de innovación docente que se empezó a diseñar y desarrollar en 2007. Desde esta wiki (un espacio colaborativo) cualquier aficionado a la retroinformática puede conocer la evolución de la informática y contribuir con sus conocimientos y recursos multimedia desde cualquier navegador Web. Esta wiki ofrece información relativa al hardware histórico (descripciones, fichas técnicas, fotografías, etc. ), el software utilizado en dicho hardware, emuladores que hacen posible ejecutarlos en dispositivos actuales (ordenadores y teléfonos móviles), biografías, publicaciones de la época y bibliografía relacionada. Se convierte, por tanto, en un medio de transferencia de conocimiento y de aprendizaje adicional a los ya clásicos, útil tanto para los estudios específicos de informática como para otros afines: electrónica, industrial, etc. En los últimos años han surgido nuevas propuestas basadas en Deep Learning para afrontar la tarea de clasificación. Estas propuestas han obtenido buenos resultados en algunos campos, por ejemplo, en reconocimiento de imágenes. Sin embargo, existen factores que deben ser analizados para valorar su influencia en los resultados obtenidos con estos nuevos modelos. En este trabajo se analiza la clasificación de datos desbalanceados con redes neuronales convolucionales (Convolutional Neural Networks-CNNs). Para hacerlo, se han llevado a cabo una serie de tests donde se reconocen imágenes mediante CNNs. Asímismo, se utilizan conjuntos de datos con diferente grado de desbalanceo. Los resultados demuestran que el desequilibrio afecta negativamente al rendimiento predictivo. El turismo es una de las actividades económicas más importantes a nivel mundial, por lo que una correcta planificación de los recursos existentes en función de la demanda es fundamental. En este sentido, el trabajo desarrollado permite comparar la bondad de un nuevo modelo de deep learning, LSTM, frente a un modelo clásico ampliamente reconocido, ARIMA. Se ha llevado a cabo un proceso de entrenamiento para obtener los modelos LSTM y ARIMA que, posteriormente se han validado utilizando datos no disponibles durante el aprendizaje. Nuestros resultados muestran que los nuevos modelos LSTM obtienen una precisión mayor que el clásico ARIMA, tanto en la validación a priori como en la predicción posterior. This is a summary of our article published in Information Fusion to be part of the CAEPIA-18 KeyWorks. Las técnicas de deep learning aplicadas al aprendizaje no supervisado han demostrado su utilidad y potencial, pero carecen del nivel de interpretabilidad que pueden proporcionar otros algoritmos. Además, el ajuste de los parámetros de funcionamiento de este tipo de métodos suele realizarse de forma automática, y no se obtienen explicaciones de cómo influyen en el comportamiento de los modelos y los resultados que estos ofrecen. En este trabajo se presenta una herramienta desarrollada para la plataforma R, el paquete dlvisR. Este proporciona un conjunto de utilidades para la visualización de las variables obtenidas internamente por este tipo de modelos respecto de parámetros ajustables por el usuario. Además, un estudio sobre algunos conjuntos de datos reafirma la hipótesis de que la modificación de dichos parámetros tiene consecuencias observables visualmente, cuyo análisis podría aportar conocimiento de interés. This is a summary of our article published in Knowledge-Based Systems to be part of the MultiConference CAEPIA'16 Key-Works. La clasificación tradicional de datos trabaja con varios atributos de entrada y uno solo de salida. La clasificación multietiqueta, por el contrario, implica predecir simultáneamente más de un atributo de salida, por lo que los algoritmos de clasificación han de afrontar una tarea considerablemente más compleja. La clasificación de datos multietiqueta es una labor de creciente importancia, presente en ámbitos como la categorización de textos, el etiquetado de imágenes o la identificación de sonidos en un medio. mldr es un paquete R que incorpora una serie de herramientas para cargar y crear datasets multietiqueta, calcular diversas medidas de caracterización de los datos, generar varios gráficos que muestran su distribución, y manipular los datasets para tratar de facilitar la tarea de los algoritmos de preprocesamiento y de clasificación. Además, la interfaz gráfica de usuario incluida permite que usuarios sin experiencia con R accedan a las mismas funcionalidades. 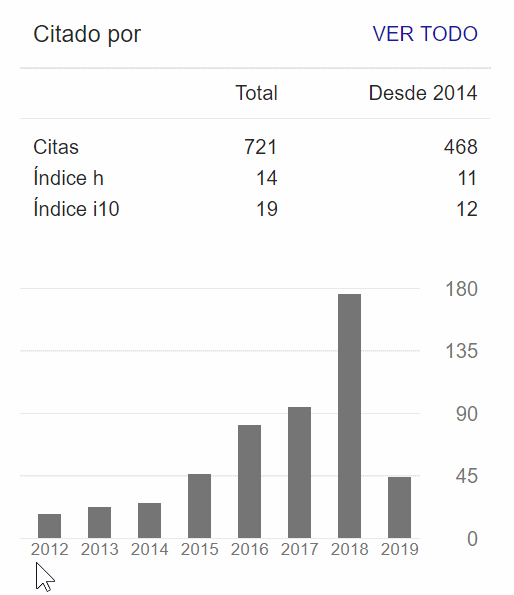 El descubrimiento de subgrupos es una tarea de la minería de datos entre la clasificación y la descripción. Esta tarea es de gran interés para los investigadores debido a su éxito en campos como Medicina o Bioinformática. En este trabajo se describe un paquete de algoritmos para la extracción de reglas de descripción de subgrupos desarrollado íntegramente en R y disponible en CRAN. El paquete incorpora una interfaz gráfica que permite el uso sencillo de los algoritmos, sin necesidad de ejecutar directamente los comandos en la consola de R. Dicha interfaz además permite realizar un análisis exploratorio de datos básico. R es un lenguaje que ofrece una gran facilidad a la hora de analizar y visualizar datos, gracias a la multitud de paquetes (extensiones) con que cuenta. Este libro, que se puede descargar en formato PDF de forma gratuita, ofrece ejercicios paso a paso para familiarizarse con los tipos de datos de R, cargar datos externos, efectuar un análisis exploratorio y representar los datos de distintas maneras. C# es un lenguaje desarrollado en Microsoft para la creación de aplicaciones que se ejecutan sobre la plataforma .NET. Este libro, que se puede descargar en formato PDF de forma gratuita, describe los aspectos fundamentales de dicho lenguaje, incluyendo la orientación de objetos, usándolo a continuación para crear aplicaciones de consola, basadas en ventanas, almacenar y recuperar datos de archivos o trabajar con bases de datos. Turbo Vision es una biblioteca creada por Borland para facilitar el diseño de interfaces de usuario en entornos de texto (no GUI). Este libro, que se puede descargar en formato PDF de forma gratuita, describe los fundamentos de desarrollo con Turbo Vision usando el lenguaje C++, proponiendo diversos ejemplos de personalización, uso de cuadros de diálogo y ventanas, flujos de datos, etc. dmServer is a web application that lets you preprocess data and use it to generate predictive models through machine learning techniques.